Find out more about the schools in Johnston County by visiting the school systems website -- HERE! For the additional information you need for placing your children in area schools, we have provided some additional information. Neuse Charter School provides innovative approaches to learning by focusing on high academic standards, critical and creative thinking skills, character development, and multicultural experiences for grades K-12. All stakeholders work cooperatively to ensure the NCS community empowers every individual to achieve his or her maximum potential. Smithfield-Selma Senior High School has been authorized as an IB World School since 2013. It is the first and only school of any sort within Johnston County to become an IB World School. Our IB teachers bring an extensive amount of experience, education, dedication and proven track records to SSHS. Johnston County Early College Academy is a collaboration of Johnston County Schools and Johnston Community College. JCECA is located on the campus of Johnston Community College. Funded by the North Carolina Department of Public Instruction, JCECA is a five-year school where graduates will receive a high school diploma and a two year Associates Degree in College Transfer from Johnston Community College. Johnston Community College has awarded associate degrees, certificates, and diplomas since 1969 to students pursuing college transfer, occupational, technical, and continuing education opportunities. 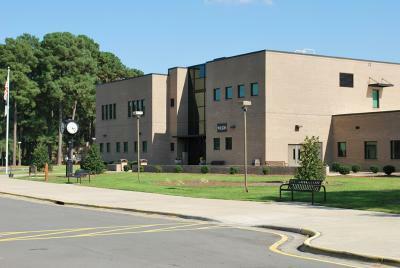 A member of the North Carolina Community College System, JCC serves more than 15,000 students annually in its credit and non-credit programs. JCC in Smithfield, North Carolina, is located 30 miles east of Raleigh near the junction of I-95 and US 70. The 175-acre main campus boasts state-of-the-art facilities, picturesque pines, colorful azaleas and scenic ponds and offers more than 40 occupational programs of study as well as numerous continuing education courses. JCC has campuses throughout the county, including the Cleveland Center, the Johnston County Workforce Development Center in Clayton, and the Howell Woods Environmental Learning Center, a 2800-acre wildlife preserve and teaching facility. On the main campus in Smithfield, JCC is home to a 16-acre Arboretum and the 1007-seat Paul A. Johnston Auditorium attracting additional involvement on-campus by community members. JCC is committed to understanding and meeting the educational needs of the area&apos;s citizens, businesses, industries, and service sectors. The College provides life-long educational opportunities consistent with our students&apos; interests and abilities, prepares graduates capable of acquiring and applying knowledge and succeeding in the regional and global community, and serves as a positive economic, social, and cultural catalyst in our diverse communities. If you are interested in taking continuing education courses or advancement in a trade, several community colleges are available in the Triangle area. For college or university courses or degrees there are more than 15 area schools to choose from, many world-renowned research universities such as Duke University, UNC-Chapel Hill and North Carolina State University all within a 30 minute drive of Clayton. For a complete list of community colleges and area universities, CLICK HERE.